Unconfirmed benchmarks show Ryzen performing comfortably between an i7-6800K and the very pricey i7-6900K. 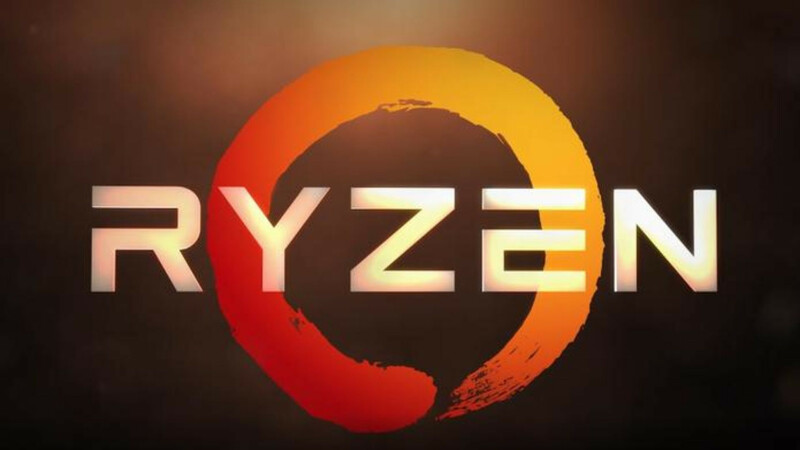 AMD announced its Ryzen family of processors just a few short weeks ago as the new flagship challenger to Intel's current crop of performance desktop processors. Official details and performance numbers are still under curtains, but at least one magazine has published early benchmarks on an AMD Ryzen setup and the results look promising so far. 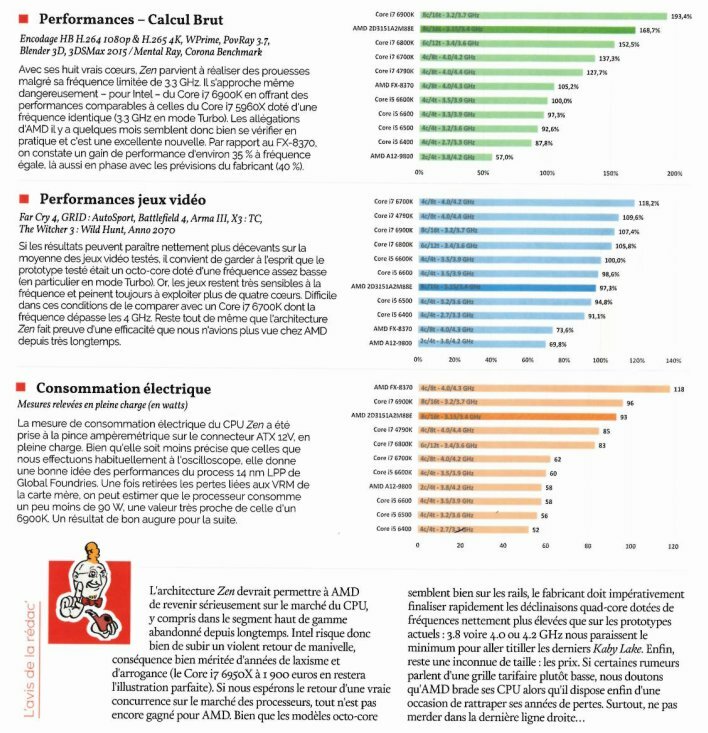 If the French sources are correct, then we can expect the first batch of Ryzen processors to outperform even the Core i7-6800K in raw benchmarks like wPrime, H.264 encoding, Corona, and Blender 3D. The Core i7-6900K is supposedly even faster than the Ryzen, albeit such a processor currently retails for over $1000 USD. The AMD CPU will supposedly be slower than expected in multi-core operations with similar numbers to the Core i5-6600K. The unconfirmed data should be taken with a grain of salt as it also states that the AMD system was clocked 250 MHz slower than the final retail SKU. Prices and official SKUs are still unknown at this time, though more information is expected to come next week at CES 2017.